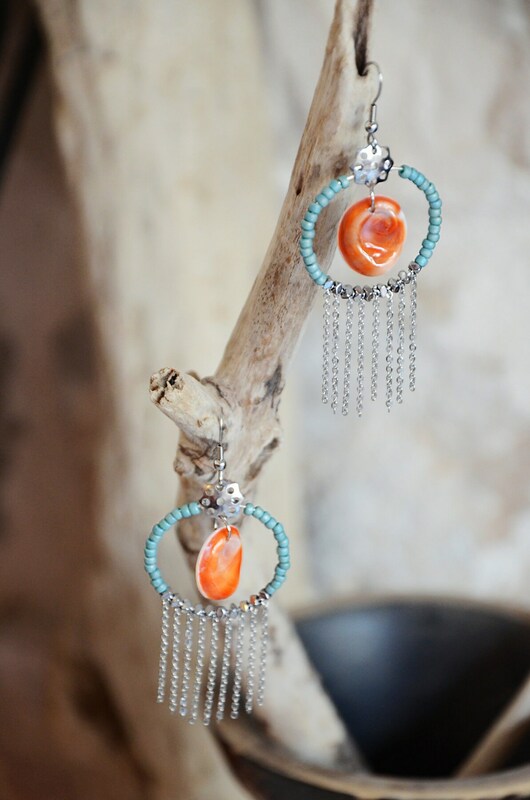 Pair of earrings hoops in the colors of the Mediterranean, blue and orange. 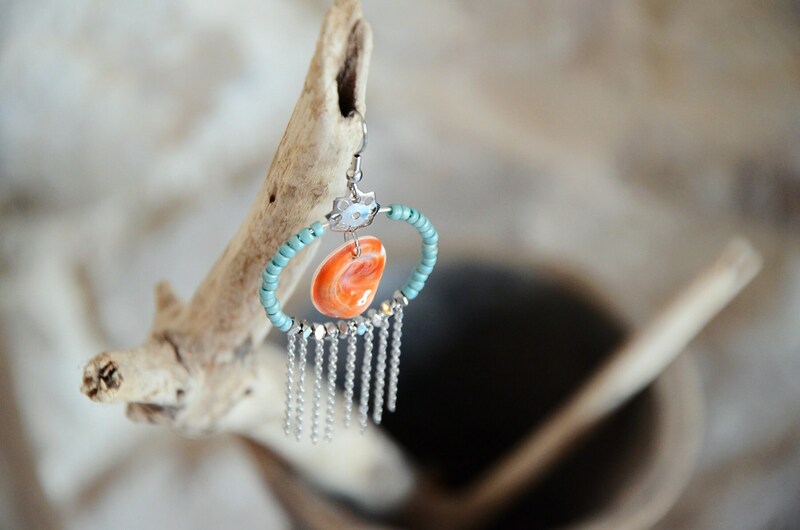 Central to these creoles, is the eye of St. Lucia, this little orange glow that gives value to jewelry. 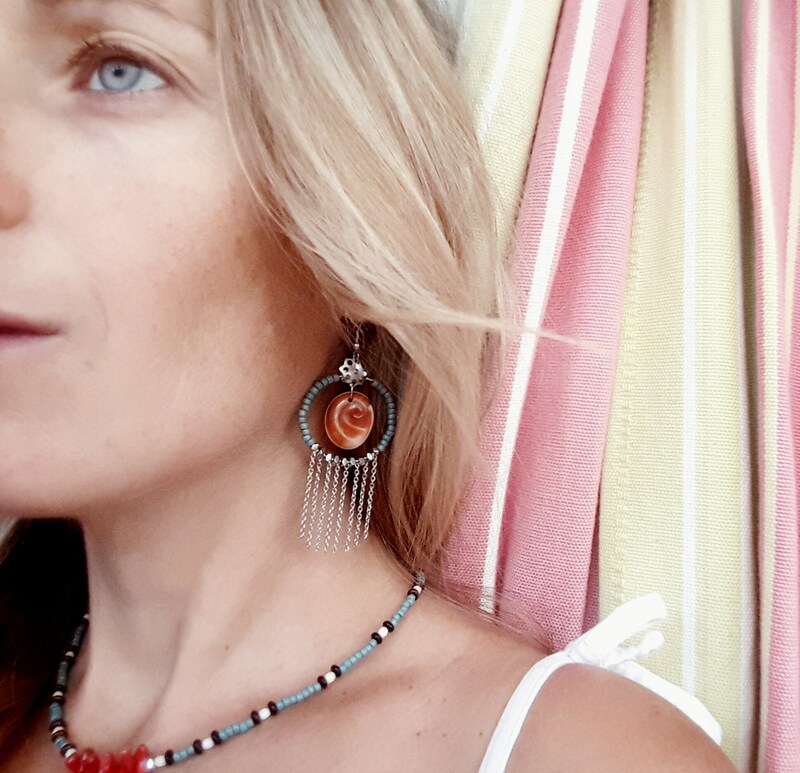 The eye of St. Lucia is the operculum of a shell called "turbo rugueux" (astrea rugosa or astrea bolma), found in the depths of the Mediterranean Sea. 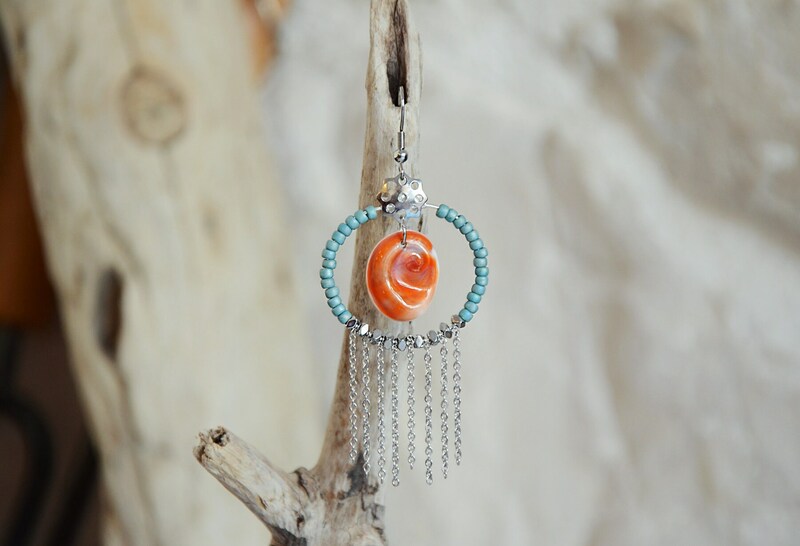 It is said that this operculum is a powerful amulet, and it brings wealth and prosperity. Length : 80 mm / 3.2 "
Materials : Ear hooks in stainless steel. Beads in glass and hematite. Chain Stainless steel. Real shell "eye of St. Lucia"